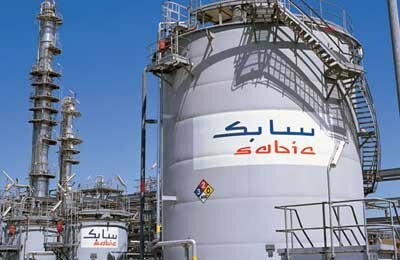 Saudi Arabia’s Sabic, a global leader in diversified chemicals, has posted a net profit of SR5.79 billion ($1.54 billion) for the third quarter (Q3) of the year, compared to SR5.23 billion in the same period of 2016, a rise of 10.71 per cent. The net profit during Q3 increased to SR3.71 billion as compared to the previous quarter, a 56.06 per cent increase. The company has attributed the strong performance to improved prices, reduction in operational costs, increase in production levels, and enhanced manufacturing reliability. Gross profits for the nine-month period of this year amounted to SR38.14 billion compared to SR36.22 billion for the corresponding period last year, an increase of 5.3 per cent. Operational profits for the nine-month period of this year amounted to SR22.34 billion compared to SR19.93 billion for the corresponding period last year, an increase of 12.09 per cent. During the press conference, Al-Benyan stressed that Sabic achieved these results despite the challenging conditions in the global market. The growth in Q3 net profits as against the same period last year has been attributed to a rise in the average selling price and increased sales. Sabic attributed the profits for the current period compared to the same period last year to an increase in the average selling price. The company attributed the rise in Q3 net profits as against the previous quarter to an increase in the average selling price as well as sales. Sabic also announced that the total sales during Q3 amounted to SR39.65 billion compared to SR35.80 billion for the corresponding period last year, an increase of 11 per cent. The total Q3 sales compared to the previous quarter amounted to SR35.17 billion, an increase of 13 per cent. The total sales for the current period amounted to SR111.78 billion compared to SR105.52 billion for the corresponding period last year, an increase of six per cent. Comprehensive income for the current quarter amounted to SR7.54 billion compared to SR6.33 billion for the corresponding period of last year, an increase of 19 per cent, and SR6.66 billion compared to the previous quarter, an increase of 13 per cent. Comprehensive income during the current period amounted to SR22.12 billion as against SR15.45 billion for the corresponding period last year, an increase of 43 per cent. The shareholders equity (excluding non-controlling interests) at the end of the period was SR. 161.8 billion compared to SR152.64 billion at the end of the corresponding period last year, an increase of six per cent. In comments after announcing the results at a press conference at Sabic headquarters in Riyadh, Saudi Arabia on October 30, Yousef Al-Benyan, Sabic vice chairman and CEO, stressed that a reduction in operational and administrative costs contributed to enhancing the company’s position in the market. “The impact of these cost reductions was clearly reflected in the Q3 financial results. We are leveraging the outcome of our transformation program to further enhance the company’s strong position,” he said, while stressing the company’s capabilities in facing different challenges.